“Such were some of you.” These five simple words are packed with power and hope. They have been a recurring refrain in our Recovery program at Cornerstone, a way to encourage our men and women that they can change. They are also, however, a word to our churches. Our churches ought to be filled with men and women who have seen this kind of transformation, who can say “I was…but now I am.” 1 Corinthians 6:9-11 depicts recovery culture churches where these kinds of transformations stories have happened. Or do you not know that the unrighteous will not inherit the kingdom of God? Do not be deceived: neither the sexually immoral, nor idolaters, nor adulterers, nor men who practice homosexuality,10 nor thieves, nor the greedy, nor drunkards, nor revilers, nor swindlers will inherit the kingdom of God. 11 And such were some of you. But you were washed, you were sanctified, you were justified in the name of the Lord Jesus Christ and by the Spirit of our God. The sins listed here are ugly to our cultural ideals. We have many “respectable sins,” to which we turn a blind eye. But these particular examples Paul uses are messy, complicated, and not family-friendly. Among them we find homosexuality and drunkenness ( an umbrella category for all kinds of addictions). Yet, for Paul these are the very people who are part of the church. Their stories are welcomed stories in the church. Our churches, then, ought to have these same stories among them. Paul’s not the only one who thinks this way. Jesus too spent his time with messy sinners. In every case where Jesus meets a religious person and a sexual outcast (as in Luke 7) or a religious person and a racial outcast (as in John 3-4) or a religious person and a political outcast (as in Luke 19), the outcast is the one who connects with Jesus and the elder-brother type does not. Jesus says to the respectable religious leaders “the tax collectors and the prostitutes enter the kingdom before you” (Matthew 21:31) . . . If the preaching of our ministers and the practice of our parishioners do not have the same effect on people that Jesus had, then we must not be declaring the same message that Jesus did. Jesus was a friend of sinners. Are our churches friends to sinners? We ought to ask if our church is a safe place for those who are struggling with sin. Do they feel like they can confess and find hope, help, and healing among us? If not we have a serious issue. I love to tell the story of Barbra (not her real name). Barbra was an alcoholic who had managed her life and her addiction well enough to look very pious at church. In secret, however, she was a mess. A ball of guilt, immorality, and addiction, she avoided people and accountability. But God would not let her go. She finally confessed to me what was going on and we began to work on a plan for change. When I mentioned the need to involve other members of the church in her recovery process he bristled. She feared losing her reputation as a respectable and godly woman. But over time she began to see the value of having spiritual friends to walk alongside her in the journey. Adding just one godly friend into her process made all the difference. I was so excited when she graduated from counseling. I was excited for her, because she was sober and experiencing some tremendous spiritual growth. I was also excited for our church, because we were seeing the fruit of working towards this recovery culture model. 1 Corinthians 6 calls us to more deeply wrestle with who we are as a people. What stories are among us? Do we believe that transformation can happen among those addicted and struggling? Are we willing to welcome them into our fold and be part of the means of their transformation? Recovery Culture Churches seek to be such places. 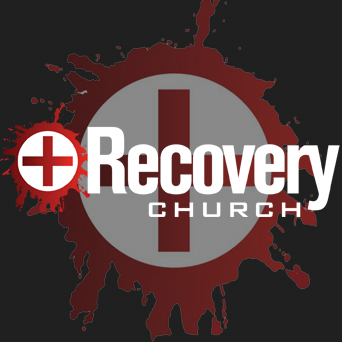 Is your church a recovery culture church? My prayer and desire is that many more of us would move in that direction.